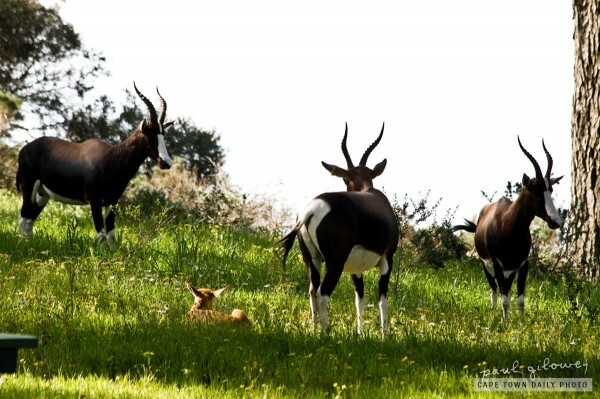 The once-endangered Bontebok – right on our doorstep! In the 1800s farmers regarded these antelope as pests and very nearly wiped them out completely. 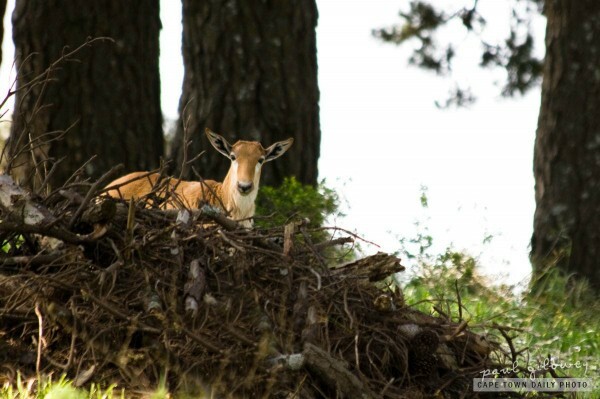 Apparently, were it not for a number of people in the small farming town of Bredasdorp, the Bontebok (baun-te-bauk) would likely be extinct today. A few farmers in Bredarsdorp created a reserve and bred the remaining 84 buck into 800 that were relocated to various parts of the country. In 1992 there were about 2000 of these animals across the country, and today I guess there are many more. I came across this young Bontebok on Tygerberg Hill (at the picnic spot I mentioned) lying in the long grass - close to its mother. Mom got a little nervous as I approached, eyeballed me for a little while, and then must have signaled to her baby that it was time to leave. I can't say that I was too upset - those long horns looked pretty intimidating! I never realised that we still had wild buck on the hills among residential areas in the Northern suburbs! Pretty awesome, heh? Posted in General and tagged animal, buck on Tuesday, 19 October, 2010 by Paul.